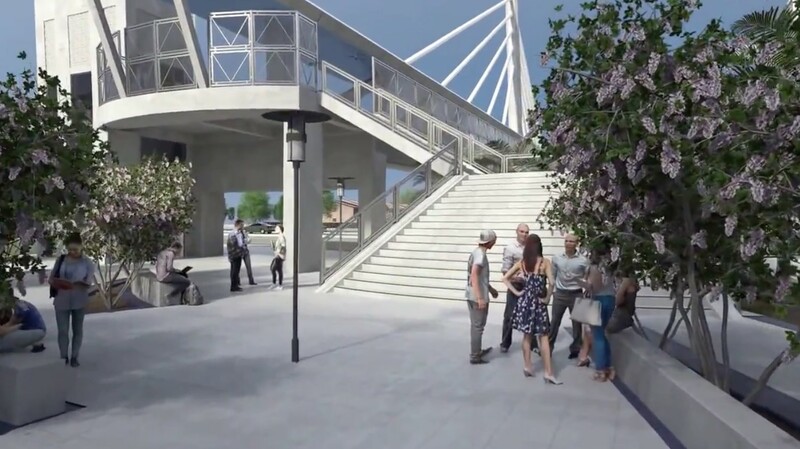 The pedestrian bridge, sidewalks and plazas that will connect the City of Sweetwater with Modesto A. Maidique Campus (MMC) are one step closer to fruition with the selection of MCM, in partnership with FIGG Bridge Engineers, to design and build them. 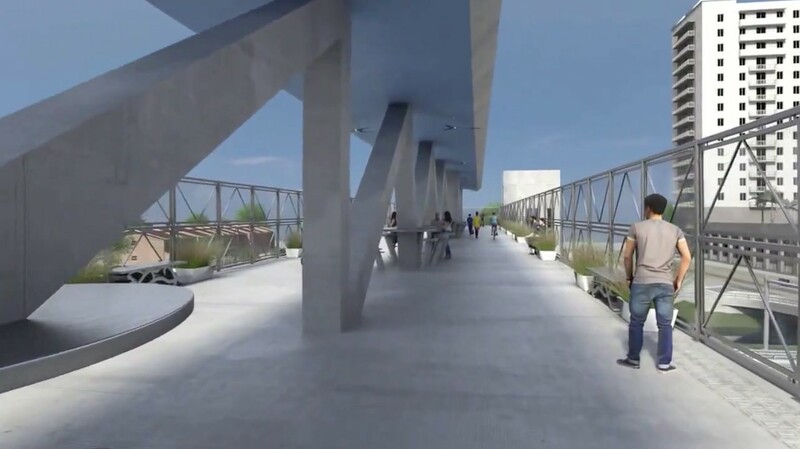 The MCM-FIGG partnership will finalize the design of the $9.3 million pedestrian bridge and other streetscape elements that will link the city of Sweetwater with the northern entrance of FIU over Southwest 8th Street. FIU, the Florida Department of Transportation and the Federal Highway Administration approved the selection of MCM. The City of Sweetwater and Miami-Dade Transit participated in the selection process. Groundbreaking will take place this spring; the project is expected to be completed by summer of 2018. “The MCM-FIGG Team is honored and blessed to have been selected to build this iconic bridge. It’s even more satisfying to serve the students and faculty of FIU again,” said Jorge Munilla, president of MCM. An $11.4 million U.S. Department of Transportation grant (also known as the TIGER Grant) will fund UniversityCity Prosperity Project which includes the construction of the bridge as well as improvements to the entrances of MMC and to the 109thAvenue area in Sweetwater, across from MMC; and Smart Parking Software System in partnership with IBM that would alert smart phone users as to available spaces in a new FIU garage. The same application would contain real-time information about transportation, including the new advanced bus system with which Miami-Dade Transit is planning to connect west Miami-Dade County with the Miami Intermodal Center at the airport. 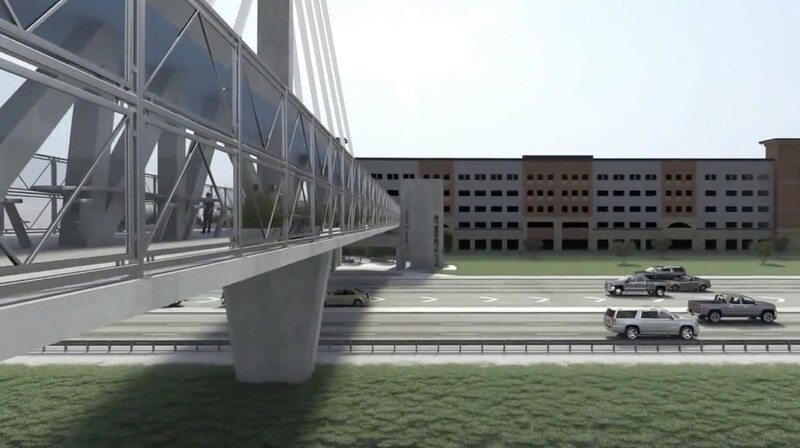 A 175-foot section of the overall 320-foot long bridge will be prefabricated adjacent to Southwest 8th Street on MMC and then moved into position in a single night so as to minimize traffic disruption to Southwest 8th Street. “It is an honor to be a part of this transformative project that will not only drastically improve mobility and quality of life in the City of Sweetwater, but also serve as a model for effective 21st-century urbanism,” said City of Sweetwater Mayor Orlando Lopez. Enough width to allow for the comfortable passage of bikes and pedestrians as well as a space for special events and student seating. Sensors and cameras will help analyze traffic in the area as part of an Informed Travel Program and Applications (ITPA) system. The ITPA is being developed by FIU research professors as part of the UniversityCity TIGER Grant to ease area traffic flow with the potential for use in other locations. This will be MCM’s first design-build project with FIGG Bridge Engineers, an award-winning Tallahassee-based firm. FIGG has designed bridges throughout the U.S., including the Leonard P. Zakim Bunker Hill Bridge in Boston and the Sunshine Skyway Bridge in Tampa Bay. To see a video of MCM-FIGG’s proposal, visit https://www.youtube.com/watch?v=5Y_71L35CvM.